With the increasing pace of business establishments and use of the internet as a source of promoting themselves to reach larger markets, it has become a challenge to choose a unique domain name for newer businesses. A domain name highlights the products which the business offers and it is the first thing which attracts a new website visitor towards the domain. A DNS(Domain Name Server) converts the name provided by the user into an IP address which is an identification of a particular computer. As remembering an IP address is not easy, the DNS server allows letters to be used instead of IP address and thus, it becomes simpler to remember a particular domain. Choosing a domain name is as important as deciding what you have to offer to the customers. The domain name should be relevant to your business and must showcase what the website is about and linked to the visitor’s expectation. This is important because when users search particular words through the search engines, they are provided with relevant links which match the closest to the words mentioned. If a domain name is easy to remember, then there couldn’t be anything better. The more simple and attractive your domain name is, the more visits and views are expected. 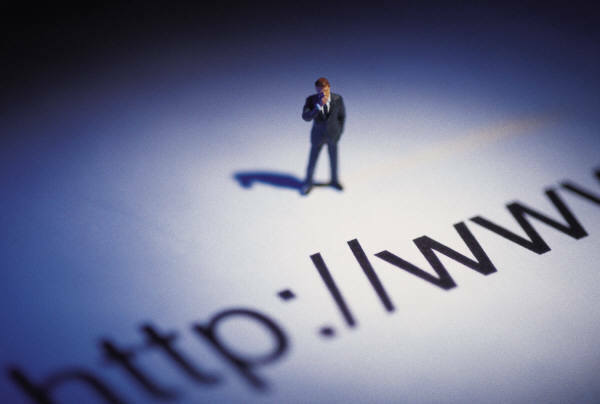 Big companies own domain names which are simple to remember and attractive. It could be a catchy line or unique phrase which matches best with your business portfolio. If you are planning to promote your products as a “brand,” then it is more desired to have a .com extension with your domain name. This is not only more common and easier to remember but also denotes the name of a well-established firm. Other extensions such a .net and .org are also suitable, but higher preference is won by the .com extension. Apart from this, nowadays country-specific extensions are also offered, for example: .ca, .uk, etc. To come up with an attractive domain name which best suits your business, a good idea is to jot down certain keywords and then choose the best ones and form a suitable domain name. This not only helps in coming up with a unique name but also helps generate new ideas before a name is finalized. It is advisable to eliminate any numbers or hyphens. This makes the domain name easier to remember and sounds catchy. As it is desired that the domain name is different from others, and someone else doesn’t own the same name with a different extension, you should try to purchase the same domain name with the other extensions as well. It ensures your privacy and rights to own that specific name for your particular business. It is evident that one should spend ample time in coming up with a relevant domain name which highlights the business essentials and describes its offerings. With the rising trend and need for this, experts may be hired as well. There are various such creative service providers who are providing new firms with their expertise to choose an attractive domain name and through which you can get a great domain name today which best suits your business.